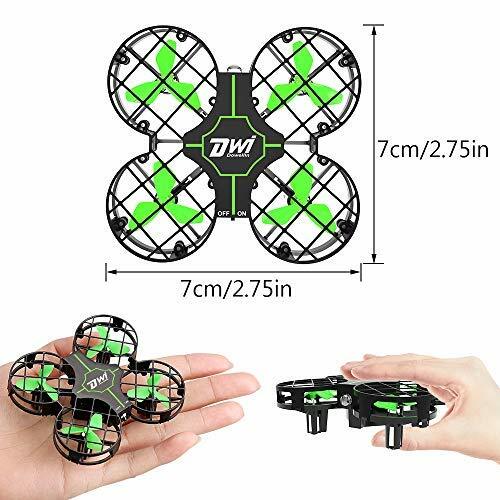 This X33 nano drone has a loads of variety functions. 360° Flips Rolls, Altitude Hold, Headless Mode, One Key Take off/ Landing/ Emergency Stop/ Return, Etc. Please read the manual carefully before flying. Any problems, please feel free to contact us. A1: 1. Make sure the drone and the controller are full charged, then put it on a flat surface, turn on the drone and the transmitter. 2. Push the left joystick up, and pull it down. When you hear a "beep", which means it paired successfully. 3. (Optional) Push the left and the right joystick to the lower right corner, then the indicator light changed from flashes quickly to constant light, the calibration done. A2: Press the top right button on the transmitter when flying and there will issue sound of "didi. ", which indicates the drone enters flip mode. 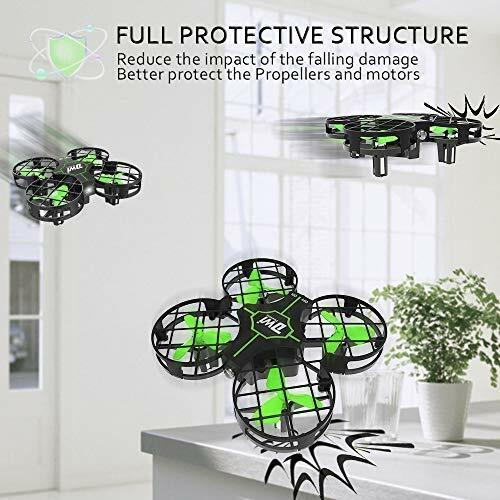 NANO DRONES WITH FULL PROTECTIVE: High quality crash guards design, effectively reduce the impact of the falling aircraft damage, protect the propellers and motors better. Meanwhile, you don' t have to worry that your kids get hurt even if they catch it by hand. ONE KEY TAKE OFF/ LANDING: After paired and calibrated the drone, you can press one key takes off button to fly the drone and press again to land it, perfect for kids or beginners. You can make an emergency landing via press one key emergency stop button, very helpful when it is in danger of flying into trees. 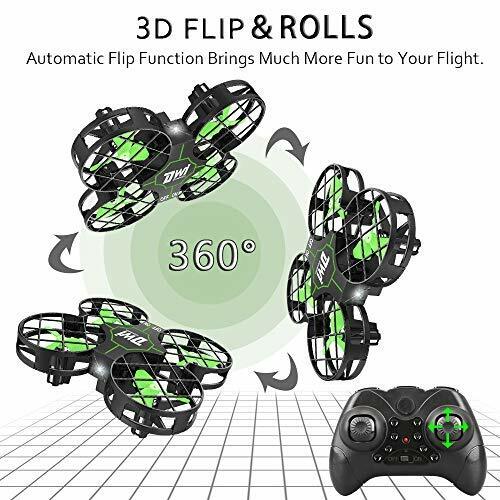 ONE KEY FLIPS & ROLLS: These mini quadcopter drone with 3D TUMBLING special effects can flips in 4-ways(left, right, forward, backward). 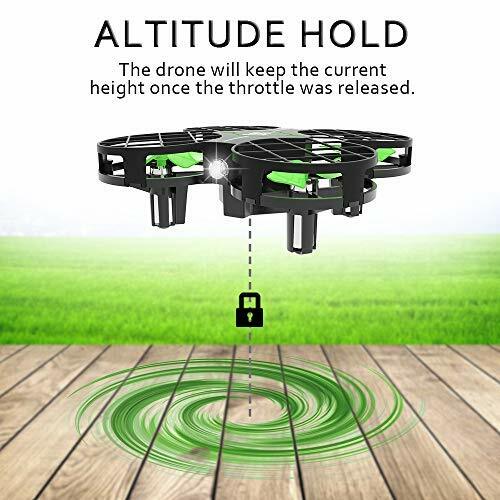 Powerful air pressure ALTITUDE HOLD FUNCTION allows the drone to keep hovering at the current height once the throttle was released. More stable to achieve flips and rolls. 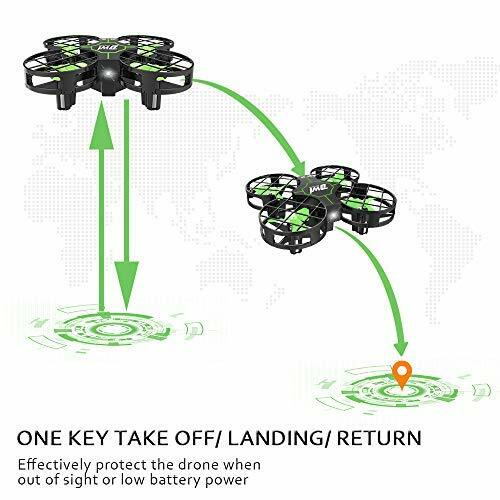 HEADLESS MODE & ONE KEY RETURN: With headless mode you will not have to worry about its orientation, it will changes its flight direction with the change of the direction of your transmitter. 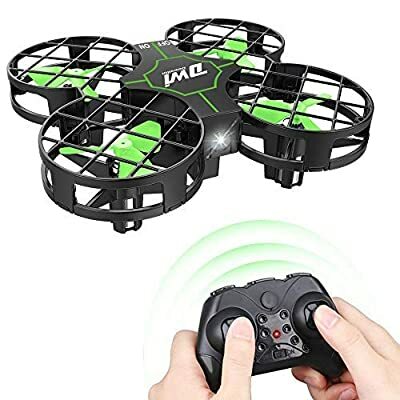 The ONE KEY RETURN FUNCTION is perfect for beginners and helpful to protect this mini quadcopter when it is out of sight or low battery power. QUALITY WARRANTY & MONEY BACK GUARANTEE: Order from Dwi Dowellin for a truly worry free experience. If there are any issues or you think everything is not as advertised, please feel free to contact us, we will refund every penny of your money or give you a replacement without charging. Just enjoy this absolutely RISK FREE purchase.